If you’re like most organizational leaders, a significant part of what you do on a daily basis is process emails. . . Responding to emails, initiating emails, filing, deleting and forward emails. We all do it. The problem with the clear majority (95%+!!!) of email is that when you sit down to process your email inbox, you are deciding to let other people’s agendas dictate how you spend your time IMHO. So figuring out how to tame that inbox is one of the most strategic things you can do for your own work. One of my colleagues is a master of killing that inbox every day. So I asked Rich Birch, to share some of his best practices for dealing with email. Take heed and you’ll find hours being freed up every week so that you can spend more time on things that are on *your* agenda, not others’. Enjoy today’s post below. Remember when email was fun? I do. I was one of those kids with an email address in the 80s. It’s true. My parents got me a subscription to CompuServe because it had an online encyclopedia. I used to sell access to my friends . . .only $0.25 per printed page! (But that’s another story!) Back in those days it was magical to send emails to people all over the country. Email isn’t fun anymore. In fact, for most people serving in a church, it’s a drag. It seems like an interruption to what God is calling you to do. Your behind on answering your emails and afraid that there is a message waiting from someone who is disappointed you haven’t got back to them . . . so for some weird reason we avoid dealing with our email . . . and the cycle continues. I need to confess . . . I kinda like email. It’s a great way to move information around . . . to prepare people for face to face meetings . . . to connect with a wide variety of people. Here are 6 “not-so-obvious” email tips from what I’ve learned after almost 25 years of trying to figure out this email thing . . .
Don’t mistake what you are called to do in your ministry with doing email. Email is just a tool. You are called to connect people to the church and build up leaders. Email simply aids the core function that you do. If you feel like all you do is email all day – talk with your supervisor and restructure your job. You are more valuable to the Kingdom than just answering email. Set aside time every day when you are going to process all of your emails. Don’t just keep scanning the list of emails . . . “checking email” is not dealing with emails. 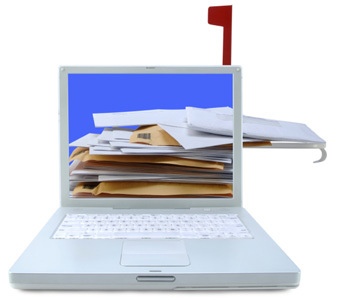 Sit down for an hour and respond, delegate, defer or even delete every email. When I’m at my email best – I’m up early in the morning and cranking through the email from the day before. I’ve had a Palm Pilot, BlackBerry, iOS devices and my beloved Android. These are all fun toys for filling in time when you have a few extra minutes during your day. They are terrible for processing email. All you ever do on a Smart Phone is read the headlines of emails . . . which gives you the false sense that you are actually dealing with your inbox. You’re not. Put the iPhone back in your pocket and go do your work . . . later sit down at a computer and do your email. I’m biased. Gmail is the solution for email power users. This cloud based system mops up any client based solution by a long shot. Their SPAM killing is amazing. You get tones of free space. You can harness the power of Google’s search technology for your personal information world. The threaded conversations keep you up to date. The “labs” feature has all kinds of great hacks for making email more efficient. It’s free. If you are still using an old school “client” to process your email . . . where have you been for the last 5 years? Rich Birch is one of the early multi-site church pioneers in North America. He led the charge in helping The Meeting House in Toronto to become the leading multi-site church in Canada with over 5,000 people in 12 locations. In addition, he served on the leadership team of Connexus Community Church in Ontario, a North Point Community Church Strategic Partner. Currently Rich serves as Operations Pastor at Liquid Church in the Manhattan facing suburbs of New Jersey. TweetShare If you found this post interesting, would you help others find it by sharing it?